About Spalding Founded by Boston Red Stockings pitcher A.G. Spalding and his brother, J. Walter Spalding, in 1876, the company (or its successors) been developing innovative products ever since. From creating the first American football, to producing the first basketball for Dr. James Naismith, to the latest advances in INFUSION technology (balls with built-in pumps), Spalding has been on the cutting edge of the sporting goods industry for well over a century. True to the founders' vision, the company has delivered quality goods that reflect a commitment to workmanship in every finished product, every step of the way. 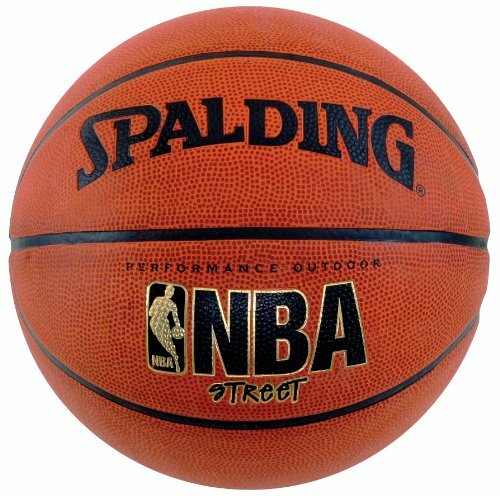 Today, these products are manufactured by Russell Brands, LLC, owner of the Spalding trademark. Available in two sizes. Performance outdoor cover. Wide channel design for incredible grip and feel. Designed for competitive street play.